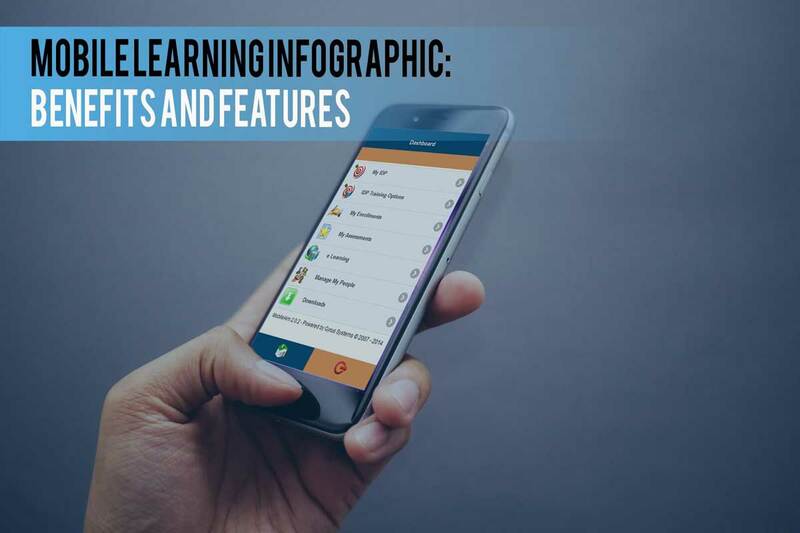 and features of Mobile Learning at a glance. Mobile Learning is a newer component of the blended learning mix and is constantly evolving into something more robust. Today, it truly is a viable feature for any learning development program, as it can adequately supplement a nomadic workforce as well as motivate workers to complete assignments in a timely manner. All the required learning and compliance training at the tip of your workforce’s fingertips. Short and concise courses; allow for broader participation and motivate users. Effective mobile learnings highlight specific learning objectives. This type of focus allows for greater overall comprehension and delivery. Brief focused learning modules can be created to further the knowledge obtained via additional mediums. Instantly and globally make available learnings that will immediately impact your program. With the growth of the platforms themselves, we experience greater content capabilities. Modern, more dynamic content allows for a greater utilization of media and ultimately superior effectiveness. Mobile learning is really gaining a foothold in the industry and is continuing to become a vital component of a well-rounded blended learning environment. With continuous growth on the distant horizon and traits and features such as these, it is hard to imagine it showing any signs of slowing. If your organization currently excludes mobile learnings and you are interested in its value going forward; be sure to tune into the Gyrus Systems Blog, as we will continue to explore this captivating topic.